LAUSANNE, Switzerland -- The first-ever baseball team representing "Europe" will be established and will make its historic debut in a two-game series against thetop-ranked Japanese National Professional Baseball Team in Tokyo next month, Riccardo Fraccari, President of the World Baseball Softball Confederation, announced. The WBSC "Global Baseball Match-Up 2015" between Europe and world No. 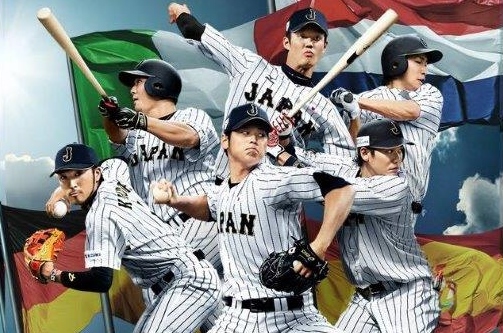 1 Samurai Japan will be played from 10-11 March at the iconic 55,000-seat Tokyo Dome, marking the first time an entire continent is represented in an official international baseball competition. Nippon Professional Baseball (NPB) -- the second highest-attended major sports league in the world in 2014 (approx. 23 million) and WBSC Associate Member -- will host the Europe vs. Japan two-game series. "This is an unprecedented and historic event that signifies baseball's expansion into a totally new competition format," said WBSC President Riccardo Fraccari, "and, I am confident that this new type of international baseball competition being rolled out by WBSC will be exciting and highly appealing to the players, fans and key stakeholders. "I would like to thank NPB Commissioner Katsuhiko Kumazaki for his important role in not only realising but sharing and strengthening this vision." The world governing body leader said the establishment of the continental selection will unite Europe's top baseball players from among the 43 European nations in which WBSC has a Member Federation. "It will be a great source of pride and validation for those nations whose players are selected to represent Europe, and this new concept that we are realising will provide an additional platform with which to raise the profile and brand of baseball in Europe and within each respective nation," said Fraccari. The official look and apparel design for Team Europe are under development and will be unveiled in the coming weeks. In preparation for the series, the leader of top-ranked Samurai Japan, Hiroki Kokubo, is in the process of touring the training camps of various NPB clubs in Japan to evaluate talent, in order to build up a collection of stars for his roster. Kokubo, who guided Japan to victory over Team MLB in a best-of-five series last November, stated weeks ago that he will assemble a "Dream Team" with Japan's biggest names in baseball for the inaugural WBSC Premier 12™ Professional World Championship that will take place in November in Japan and Taiwan; the Samurai leader will use the match-up against Europe to further solidify and test his National Team leading to the Premier 12. Kokubo said: "Considering the WBSC Premier 12 coming up, I think this match-up with Europe, feeling each other out, will be important." Europe will make its world debut under current Netherlands National Team manager, Steve Janssen, who led the Netherlands to the 2014 CEB European Championship. "It is a tremendous honour and great responsibility to lead Europe," said Janssen, "and playing against one of the best teams in the world is going to be a very exciting and challenging first test." Italy's National Team manager, Marco Mazzieri, who advanced Italy to the quarterfinals of the 2013 World Baseball Classic, will also be an integral part of Europe's coaching staff and will work closely with Janssen in selecting the players who will represent the first-ever Europe team at the Tokyo Dome in March. Both Janssen and Mazzieri will also be leading their respective National Teams at the 2015 WBSC Premier 12, as No. 5 Netherlands and No. 11 Italy are among the top twelve (the "Premier 12") nations in the world that will be featured and make up the new flagship event. Ticketing for the Europe vs. Samurai Japan Series opens today (6 February), while team rosters will be revealed in an upcoming announcement.